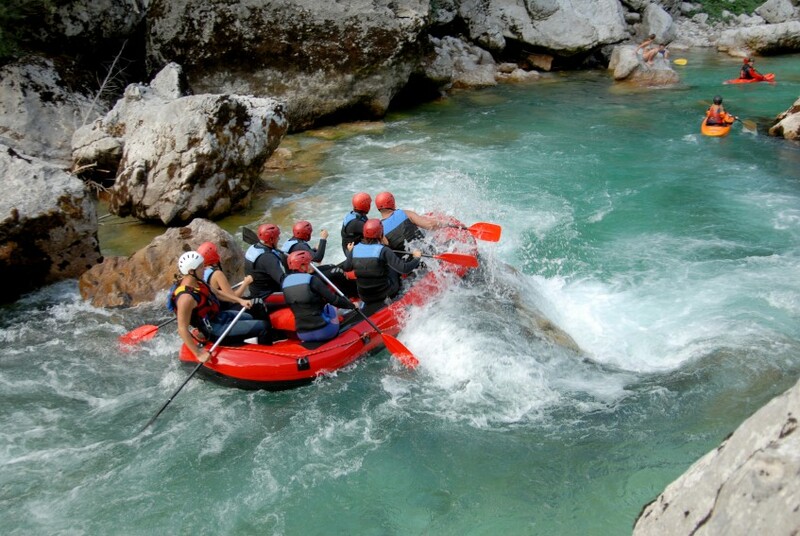 White Water Rafting is one of the most popular summer activities in the Alps! It is something everyone should try at least once and is a perfect activity for all the family as they can children from 8 years old. The boats can take up to 7 people and all the equipment is provided; wetsuits, booties, life jackets & helmets. There are various companies based in the area who all offer a similar service and routes down the River Dranse. Their bases are located along the river, about a 20 minute drive from Morzine. Most of the proposed routes take around 2-2.5 hours including the safety briefing, but there are also more advanced routes for the real adrenaline junkies! 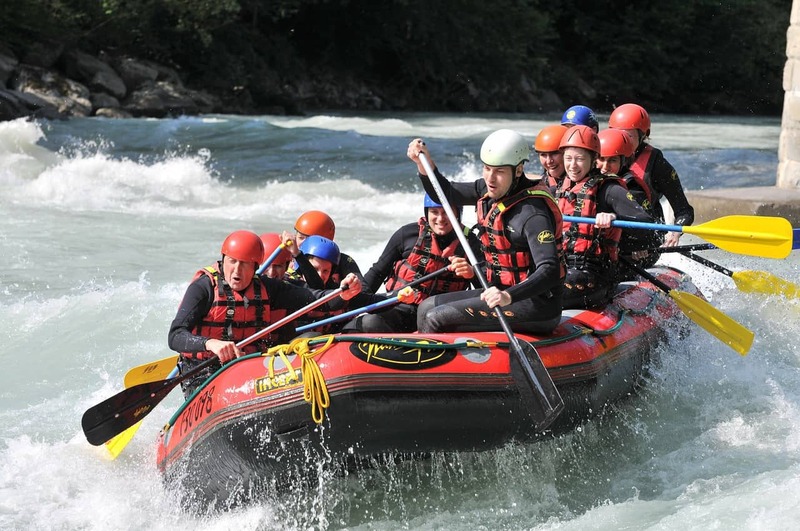 The guides on the rafting trips make it a really fun experience, and stop frequently getting you to jump in off rocks and small cliffs, capsizing the boat and swimming through rapids. You can also try hot-dogging and hydrospeeding. Hot-Dogging is a smaller inflatable canoe which seats 2 people, and you are guided in groups down the river. Hydro Speeding is swimming though the rapids in a padded wetsuit using a float – definately for the more adventurous! Prices start from €39 per person for the ‘Classic Route’ and make sure you book in advance. Where to swim in Morzine & les Gets? Morzine takes care of you! A week of relaxation in the mountains.